Above the Media Center at Sunset Ridge Intermediate School/View Ridge Middle School, there is a small, private room. Step through the door, and it is as if you have been transported to Hogwarts, the school from the Harry Potter series. 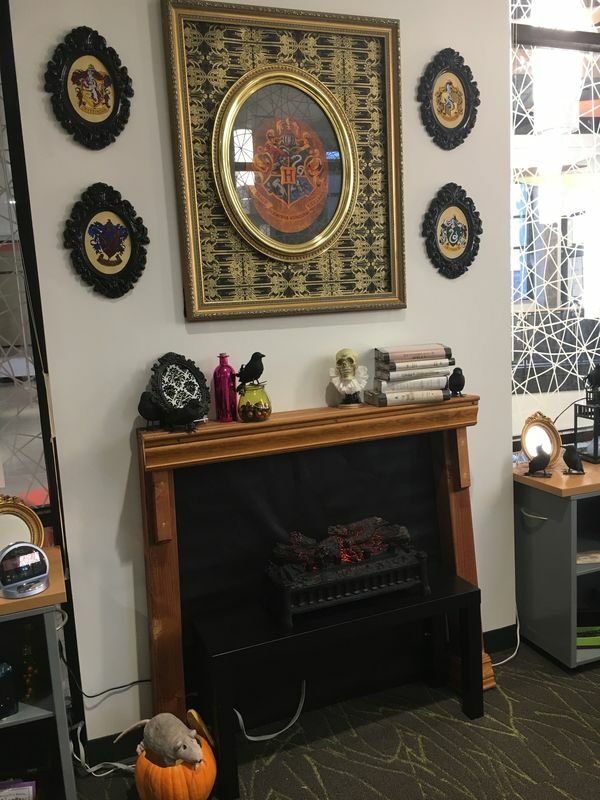 With a warm (faux) fireplace, Hogwarts house banners on the wall, and even the same spell books studied by Hermione, Harry, and Ron, it’s a magical place much loved by students. And it was created by library aide Tiffany Tamez. Tamez and her father built the wooden fireplace mantel. She made banners for each of the Hogwarts Houses and created a faux fur Book of Monsters. The Sprinters, Ridgefield High School’s marketing and design student team, printed the artwork. The project took months, with a lot of attention to detail. 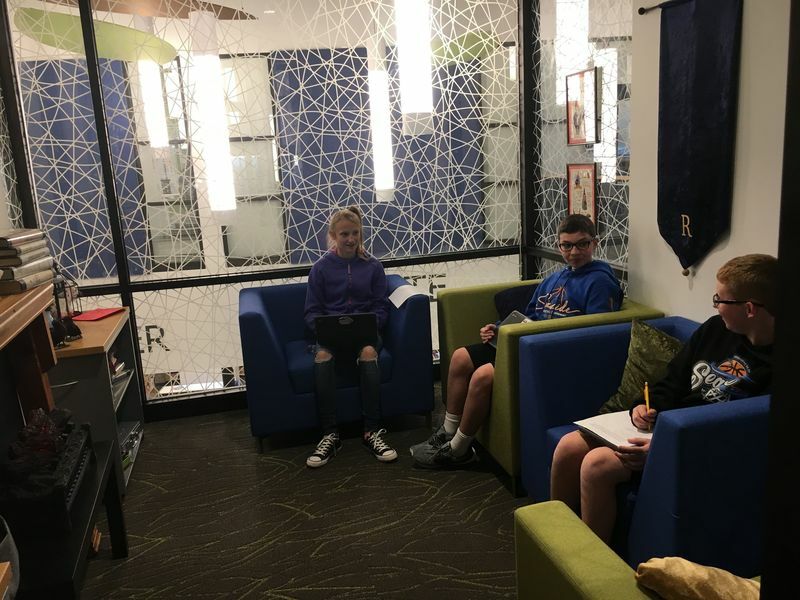 Sixth graders (L-R): Sarah Proctor, Shaun Tillis and Jack Radosevich enjoy the Harry Potter room. 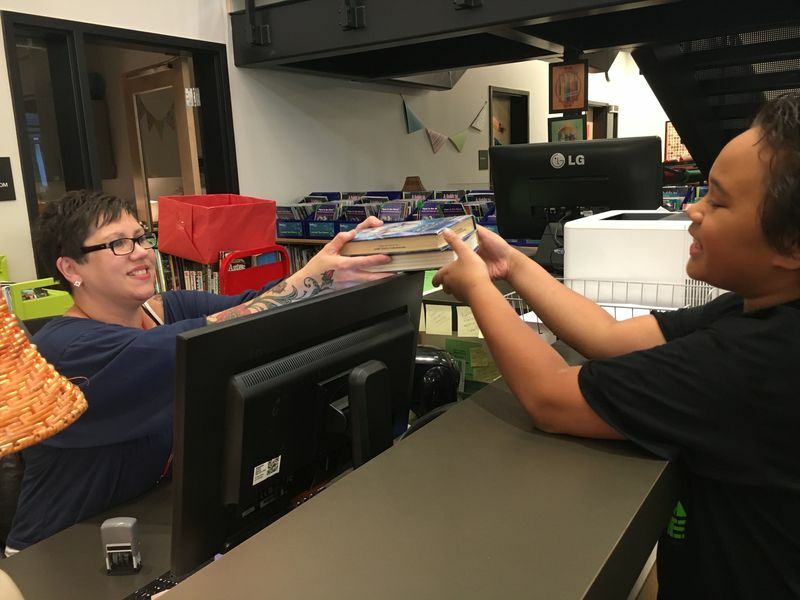 Tiffany Tamez helps a student check out books at the Media Center. Tamez is glad the room is so popular. “I like that the kids feel special. 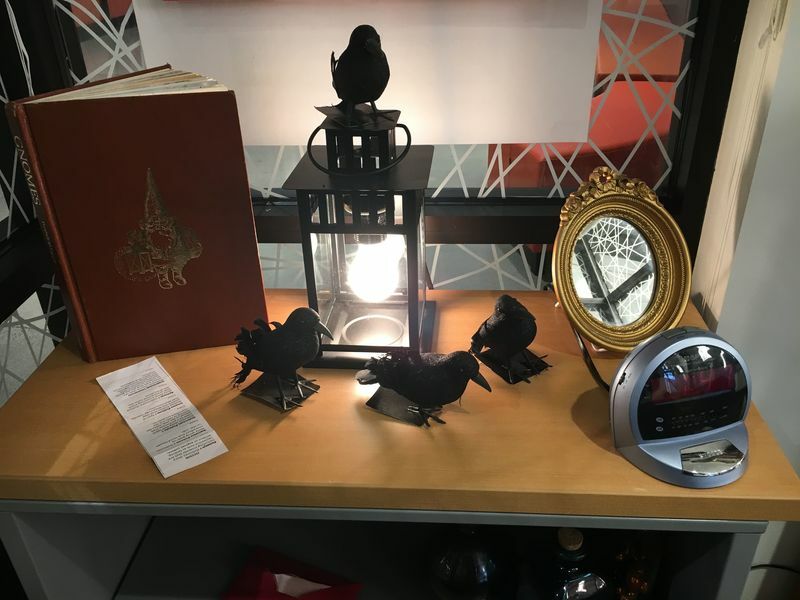 They feel transported, like it’s designed for them.” The Harry Potter reading room casts a spell on students by inspiring reading and creativity.